In 1977 the only park preserving and exhibiting the only roman town north of the Alps which had not been built over in its history, opened its doors to the public. The 1977 park only covered the eastern part of the township and in 2009, after changing the route of a federal highway, an extension covering the remaining western part was opened to the public. On our Rhine and Romans Tour you have the unique opportunity to view, at times at a one-to-one scale, how the Romans lived and how their presence influenced the society and history of northern Germania. The park offers a huge range of outdoor replicas to wander around and contemplate the architectural prowess of the roman occupiers. Alongside the buildings are pavilions presenting different aspects of life at roman times, like travel, governing bodies and how they made their life amongst the ‘savages’ more bearable. In the days of the Roman occupation (Julius Caesar’s time) Germania was the wheat-bowl of the Roman Empire, feeding its army and populace. To secure this vital part of the Roman economy they established strong permanent outposts. To make life there ‘acceptable’ to the Southerners, they brought a lot of their Mediterranean traditions and foods with them. These, along with the troops, were transported along one major road and established trading routes for centuries to come. 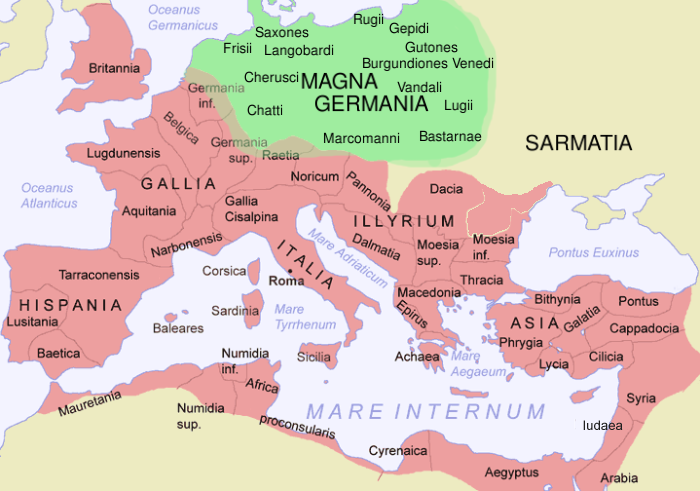 And to give you an idea of the extent of the Roman Empire check out this wonderful map, gleaned from Wikipedia. Kalkar is one of the few towns from the 13th century that had been specifically designed by the local lords and was granted the status of a city shortly after its inception. 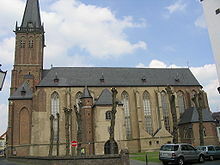 The city centre offers a range of architectural and historical landmarks: St. Nicholai church (late Gothic), largest intact town hall (Gothic) and a historical windmill from 1770. This windmill has a bit of a chequered history: In 1770 the citizens of Kalkar had a major problem: the East gate to the city was in such a bad state, that repair was deemed impossible. When the local leather manufacturer Guerin offered to buy it for scrap and build a new bridge instead, they accepted readily. Guerin built a huge windmill, eight storeys high, to catch the wind above the houses of the city! Initially he used it for grinding tanning bark, but just before 1800 Guerin fled the region. He was of French origin and feared the approaching revolutionary army in 1794. 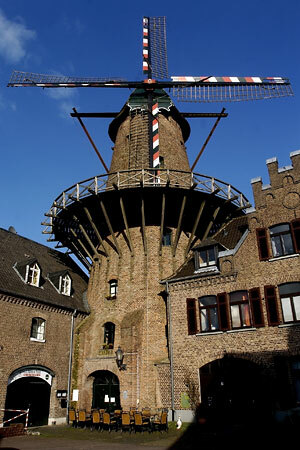 The windmill was taken over by Gerhard van der Grinden and used from then on to mill flour by various millers. In 1910 Heinrich Rötten, the last practicing miller, built a two storey house to replace the previously built house and barn. From 1994-1996 extensive restoration work was done and the mill is again being used for its original purpose. In addition to the mill the site houses a tourism and culture centre and a restaurant that serves the bread and beer made on site. Please excuse the lack of links, but as most of this information is gathered from local German sites, we have taken the liberty to present a short translated version of them. We visit the picturesque township of Kalkar on our Rhines and Romans Tour. 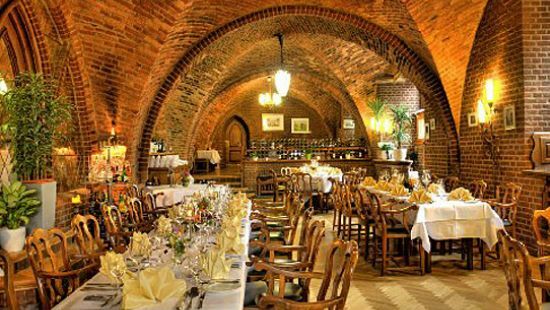 In the evening we enjoy local specialties in the ‘Ratskeller’ restaurant. Situated at the strategic point of the rivers Rhine and Moselle joining, Koblenz has a long history of fortifications, military posts and castles built in and around it. As early as 1000 BC fortifications had been built on the hill that now has the Festung Ehrenbreitstein situated on it. Julius Caesar came, saw and built a bridge in 55 BC and in 9 BC the town was officially founded and called ‘Castellum apud Confluentes’, which in the local dialect became Covelenz/Cobelenz. The Latin name literally means town at the joining point of rivers. 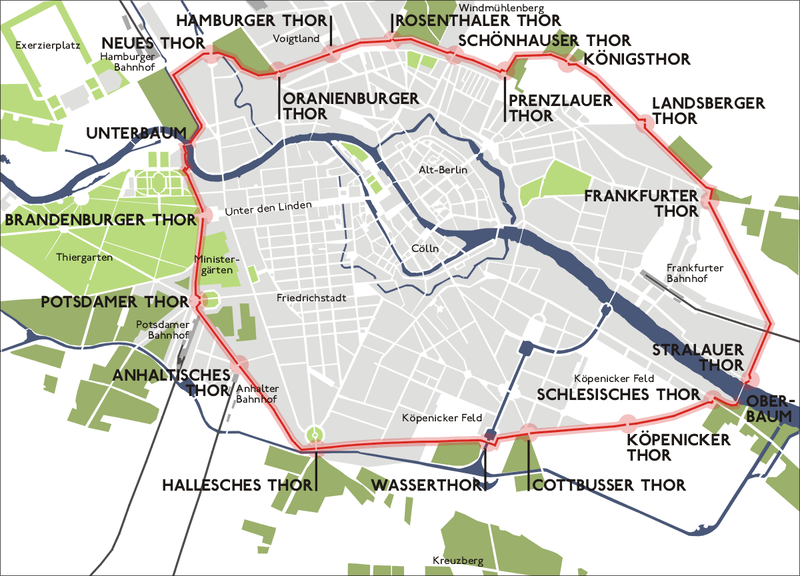 In more modern times, Middle Ages to Present, it has had a chequered history, being conquered by the Franks, chosen as a place of residence by German prince electors, conquered by the French and fortified by the Prussians. 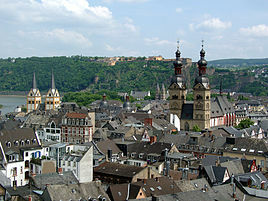 Those influences can be seen in the historic buildings in and around Koblenz. In 2002, the Rhine Gorge was declared a World Heritage Site, with Koblenz marking the northern end. On our Rhine and Romans Tour we spend the first two nights in this beautiful town and enjoy a boat trip on the Rhine as well as a walk through the 2000-year-old town. The palace was intended as a private retreat for Friedrich the Great and designed on a relatively small scale to accommodate his desire for comfort and privacy. 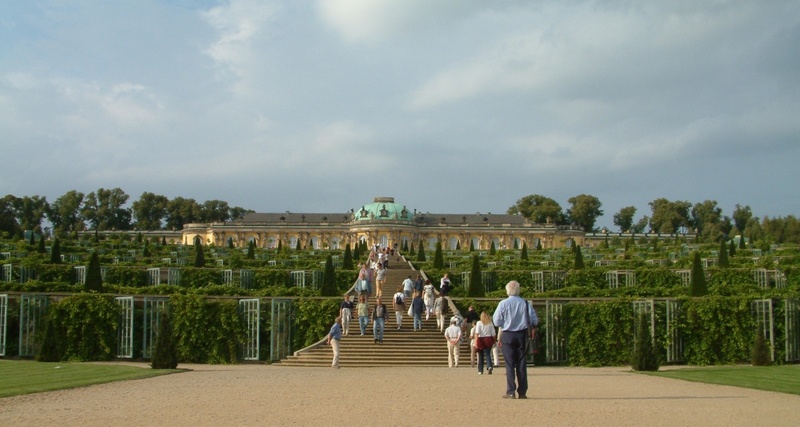 It was built from 1745 to 1747 and was occupied every summer throughout Friedrich’s lifetime. Even though his architect tried to change a few things, none were accepted and despite some disadvantages because of it (being a single level it was prone to dampness for example) Friedrich enjoyed every summer there. After his death the palace was completely altered, remodelled in the then fashionable neo-classical style. As the emperors changed, the palace saw less and less use and was kept in a more or less acceptable condition. In 1873 it was opened up for museum purposes and made one of the first and oldest castle museums in Germany. Until the end of the monarchy in Germany it remained the property of the Hohenzollern, after which it came under the care of the national body for the preservation of castles and gardens in 1927. The palace has had major restoration work done since the 1960’s and after the reunification more work was done, including restoring several pieces of art work and Friedrich’s extensive book collection that had been moved, displaced or sold after WWII. The wiki entry contains more detailed info regarding the individual rooms and places in and around the castle. 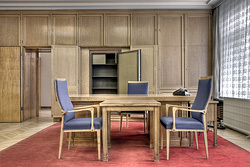 The palace is now again a treasure trove from an architectural and fine arts point of view. 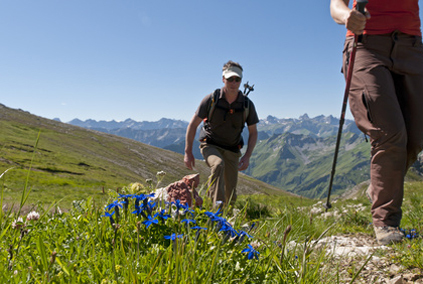 Enjoy it on a day trip from Berlin as part of your Cosmopolitan North – Hamburg and Berlin tour. This park is one of the green areas in Berlin called its “Green Lung”. Throughout the city, and in particular in the Marzahn area, you will find small and large parks providing fresh air for the city and relaxation from the hectic city life. Park Marzahn, or “Gardens of the World”, stretches over 21 hectares (51 acres) and was opened in 1987 as the Berliner Gartenschau. Since 1951, bi-annually, one bigger city hosts a Bundesgartenschau, BUGA, the National state garden show. After the war they were conceived in an effort to return to ‘normality’ and offer a non-political peaceful past time to get stuck into. Most Germans in the cities would have experienced the joys and necessities of allotments during and just after the war and this was seen as an opportunity to show different ways of landscaping and gardening. The shows were such a success that the regional councils decided to organise their own, Landesgartenschau, as time and money allowed. Recently the larger BUGA and IGA (International Garden show) have come under criticism, as the preparation for the show grounds destroys present green areas and natural habitats for flora and fauna and creating artificial areas of no particular conservational value for the environment. As this is a development of awareness towards the ecological impact of human actions and should be seen as a positive, it will be interesting to observe how the different demands will be met in the future. In the mean time, enjoy the peace, tranquillity and diversity this park offers on your Cosmoplitan North – Hamburg and Berlin tour. 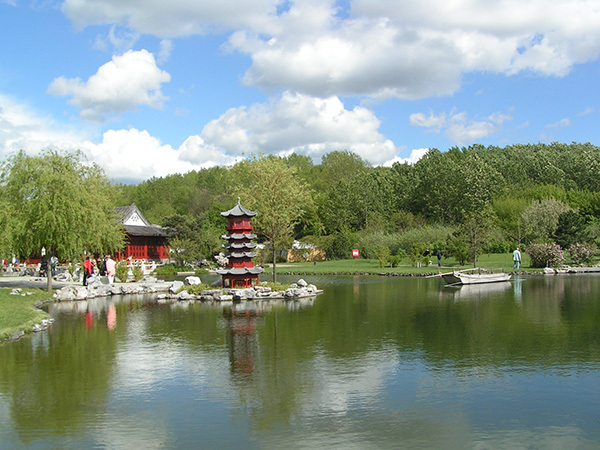 Marzahn has enjoyed immense popularity and continues to attract visitors by offering a huge range of international traditional gardens. 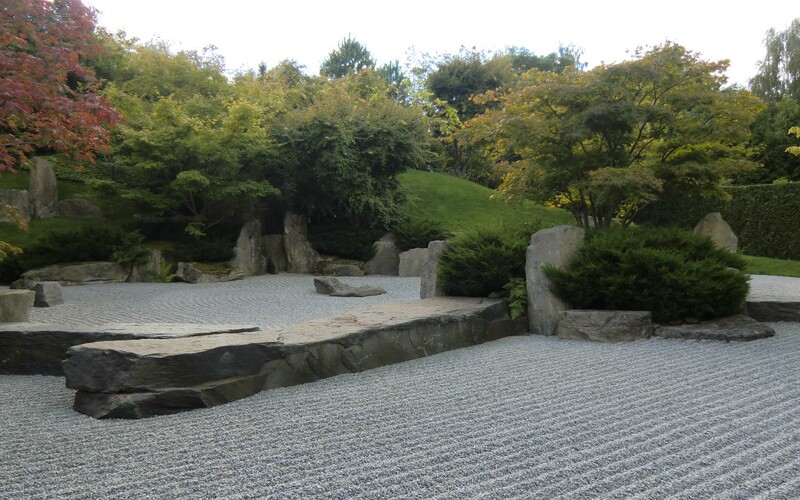 Only in the last decade a Chinese, Japanese, Balinese, Oriental, Korean and Italian garden have been added. ‘Stasi’ stands for Staatssicherheit, state security, and was the official state security service in the GDR. It was founded on the 8th of February 1950 and modelled on the Soviet MGB. After the fall of the Berlin Wall and reunification it was disestablished and is now considered a criminal organisation, whose crimes committed by Stasi officials are being prosecuted. Merely having been a member of the Stasi is not deemed enough to be prosecuted, prove has to be found to have participated in particular crimes for an individual to be prosecuted. 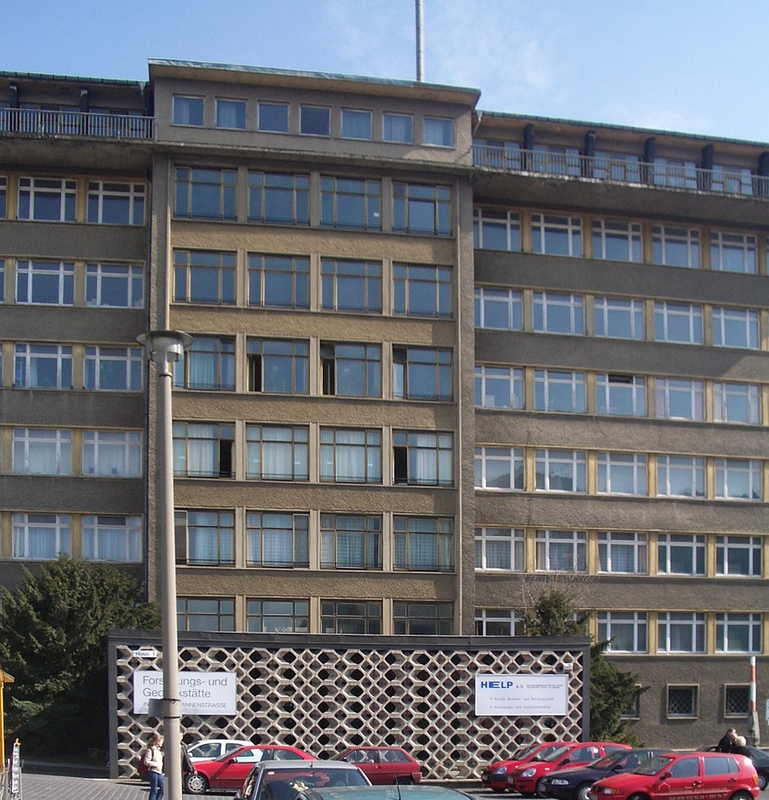 As the building was stormed after the fall of the wall, a lot of documents identifying targets and IM’s (Inoffizieller Mitarbeiter: inofficial personnel) were destroyed, making the prosecution of ex-Stasi leaders and collaborators harder. The museum is housed in the original compounds which underwent extensive renovations. The exhibitions display not only the actual premises, but also document the extent of surveillance and repression exercised by this infamous institution. The highly organised and controlled power structure is explained and how the lower orders were taught to infiltrate and spy on people and organisations within the state. Nothing and no one was safe or exempt from suspicion. Another part of the exhibition highlights the resistance and opposition and its work within the state. We will go on a guided tour of this fascinating museum on our Cosmopolitan North – Hamburg and Berlin tour. 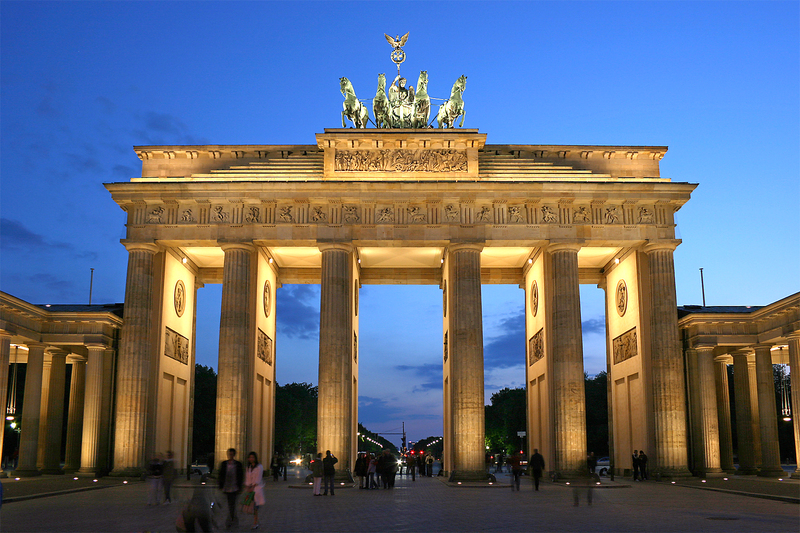 One of the most well-known landmarks in Germany the Brandenburg Gate started out as part of a customs wall surrounding the city of Berlin erected in the 1730’s. Its final design, commissioned by Friedrich Wilhelm II, was intended to represent peace and replaced the earlier simple guard houses. The design was in line with Berlin’s history of architectural classicism and is based on the Propylaea, the gateway to the Acropolis in Athens. The gate consists of twelve Doric columns, six to each side, forming five passageways. Citizens originally were allowed to use only the outermost two. Only the royal family was allowed to pass through the central archway,as well as members of the Pfuel family, from 1814 to 1919. In addition, the central archway was also used by the coaches of Ambassadors on the single occasion of their presenting their letters of credence to the monarch. Atop the gate is the Quadriga, a chariot drawn by four horses driven by Victoria, the Roman goddess of victory (originally Eirene goddess of peace). As the city grew in the 18th century these gates became more of a hindrance than an advantage. Railway lines were being built to connect the city and suburbs with other places and most of the lines had to end in front of the wall and those gates. In 1860 the wall was being demolished and between 1867 and 1870 all but the most imposing gates were destroyed as well. Of these remaining ones, the Brandenburg Gate was the only one to be rebuilt after WWII. During its centuries of existence the gate underwent several practical and symbolic changes being a symbol of peace and freedom once again after the tumultuous reunification of Germany. Following extensive renovations after the fall of the wall it can now be admired in its full glory again and everyone can pass through those arches now. 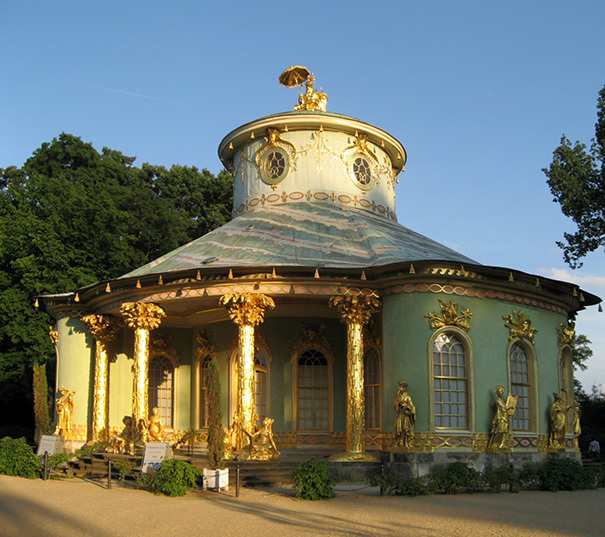 On the Cosmopolitan North – Hamburg and Berlin tour you will get the chance to do exactly that yourself!